Dr. Ruth Westheimer, author of the new graphic novel Roller Coaster Grandma: The Amazing Story of Dr. Ruth, will be the featured guest at the 2018 Jewish Comic Con, Sunday, April 29 in Brooklyn. 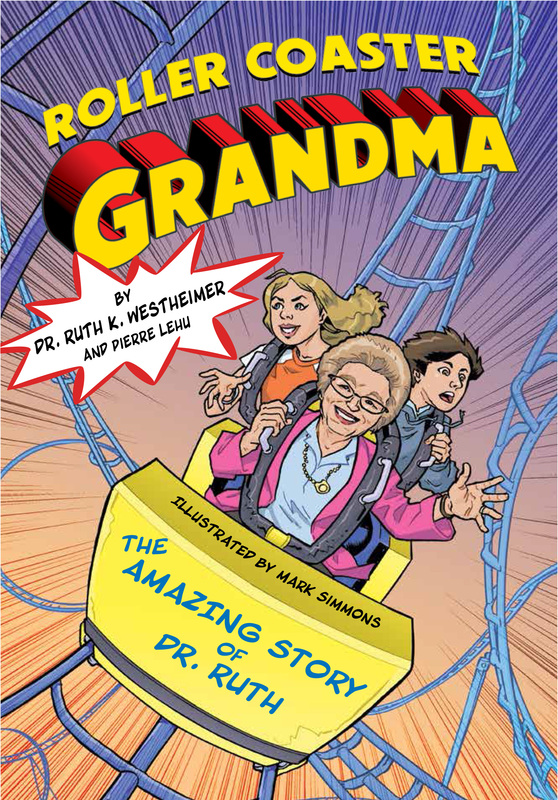 Dr. Ruth Westheimer, author of the forthcoming Roller Coaster Grandma, will appear on Good Morning America this Friday to promote the book. Coming February 1 from Apples & Honey Press, Roller-Coaster Grandma: The Amazing Story of Dr. Ruth depicts the ups and downs of Dr. Ruth's life. Set in a graphic novel format for ages 8-12, it recounts her escape from the Nazis at age 10 aboard a Kindertransport, to training as a sniper with the Hagganah in Israel, through her immigration to the U.S. where she started as a maid, became a college professor, and eventually a television star. Using a trip to an amusement park with her grandchildren as its framework, the story subtly demonstrates lessons of grit, resilience, and strength that readers can apply to their own lives. This was the message Dr. Ruth Westheimer delivered at the 2017 conference of the Association of Jewish Libraries. She described her life of reinvention, beginning with her escape from Nazi-occupied Germany on a Kindertransport to a children’s home in Switzerland, and continuing with sniper training with the Haganah (“I could put five bullets in the center of the target, and take apart a gun and put it back together again in the dark with my eyes closed! ).